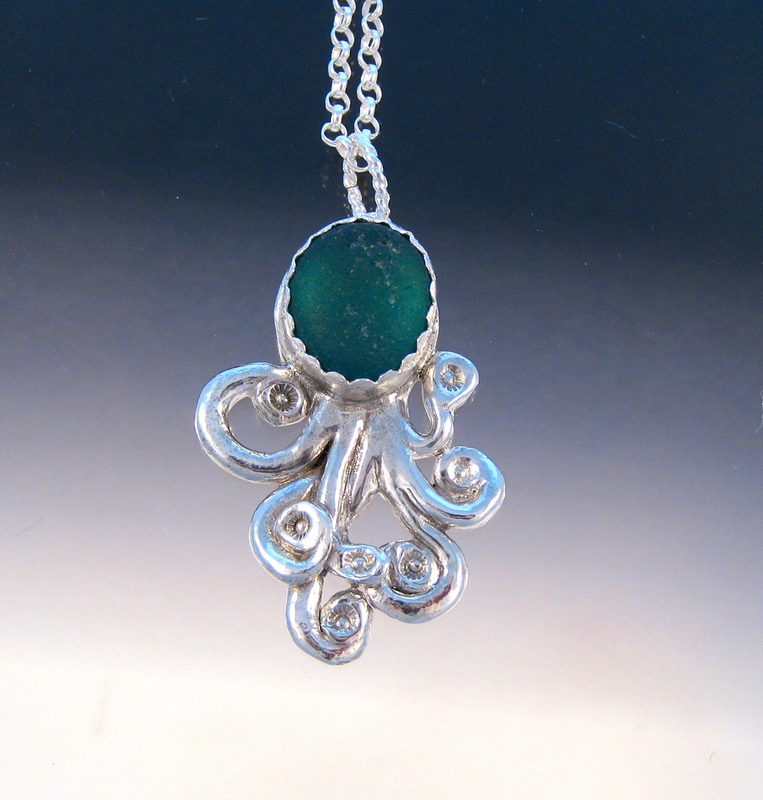 This octopus pendant is just awesome. curly legs going here and there and a stunning "head" of teal sea glass from iceland. Way cool!